We would like to thank EVERYONE for all of their donations to date. We have found that there was an error in the TAX-ID number when the receipts were going out. There was an extra “0” in the number. We are sorry if this caused any confusion. We would like to thank the wonderful community members, businesses and others who have graciously donated to the K9 Fund so far. We all love a good snow day on the coast!! Hopefully by this time next year we will have our own Lincoln City K9 to play in the snow too! Lincoln City Police Employees Association made a donation of $1000.00 dollars to the K9 Fund. The Police Association fully supports this program and is happy to donate to the fund. Lt. Broderick gratefully accepts the check for $1000.00 from LCPEA President Jayne Johnson and Vice President Torin Liden. Angus (the dog) was there to show his excitement for the program!! Thank you for the amazing response we have already gotten. Many people are asking for other ways to donate. So, we have created a go fund me account for our K9 Program!!!!! The City of Lincoln City and the Lincoln City Police Department are proud to announce the establishment of the Lincoln City Police K9 Program. Our Website is www.lincolncityk9.com. Police Departments around the state are expanding with K9 police programs because they recognize the value they bring to their departments, along with the added safety they bring to their communities. It is the goal of our K9 unit to help prevent crime, keep the community safe and add tremendous value to the Lincoln City Police Department. The K9 police officers are critical to police work in our small town where the number of sworn officers is small and the transient population and area to cover can be very large. As with other towns and departments throughout the state, our community will be fortunate to have a dedicated police officer who acts as the handler for our K9 police officer. Handlers are trained to work with their K9 partners and provide for their care and feeding while they are off duty. We will acquire our K9 police doge though a certified training program that trains these dogs for the purpose of police and public safety work. Both the chosen K9 Officer and their dog will receive extensive training. The public should feel safe around this dog and we encourage opportunities to interact with it. K9 police officers are also important in strengthening the relationship between police departments and the community they are protecting. As the community becomes acclimated to our newest officer by seeing their ability to prevent crime and make our community safer, we anticipate that we’ll be able to continue the support for the K9 unit from the community. The estimated cost to start-up and introduce a K9 police unit into the community is $75,000, with a low annual cost to maintain them. The average work life of a K9 police unit is between 8 and 9 years. We are asking for support from our community. The donations that we receive will help cover the costs of the K9 handler courses and certifications, as well as necessary equipment for the dog, such as ballistic K9 vests, vehicle insert designed for transport of a police dog, and the construction of a kennel for the K9’s housing. If you are able to support our program in any way, all donation amounts are appreciated. 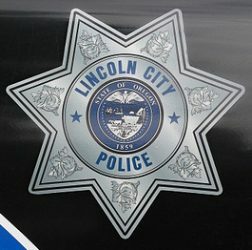 Donations can be made in any manner and checks should be made out to the Lincoln City Police Department K9 to ensure that your donation is placed in the proper account. You may also visit our website www.lincolncityk9.com and click on the Donate Here link. 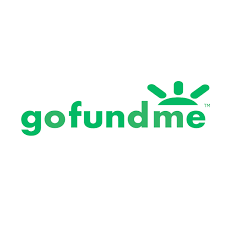 Donations are tax deductible (Tax ID 93-05203629); therefore, please provide our department with your name, address and phone number and we will ensure that you receive a proper receipt for documentation. Thank you for your consideration in making a donation towards a K9 unit, and your support to make Lincoln City a safer community.